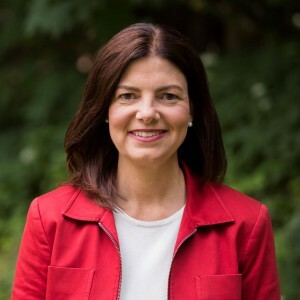 We are presenting Ayotte’s answers in full below. ANSWER: Yes. In regular meetings with New Hampshire advocacy groups and individuals with disabilities from our state, I’ve learned a great deal about issues of importance to the disability rights community. I have a dedicated member of my staff who handles disability rights issues and we are regularly exploring, listening, and learning about what we can do to better assist Granite Staters with disabilities. ANSWER: Yes. We post our videos on YouTube, which has an automatic closed caption feature. We are in the process of updating and improving our campaign website to ensure all features are fully accessible to people with disabilities, and we strive to always ensure that our events are accessible and accommodating to those with disabilities. ANSWER: Yes. Working with New Hampshire’s disability rights community, I’ve worked on several pieces of legislation and initiatives that seek to end discriminatory wage practices and ensure that individuals with disabilities have access to meaningful employment. I introduced the Transitioning to Integrated and Meaningful Employment (TIME) Act which would work to end those discriminatory wage practices and cosponsored the Achieving a Better Life Experience (ABLE) Act to allow Americans with disabilities to save for expenses in dedicated accounts – this bill was signed into law in 2014. I am also a leading proponent of ratifying the Convention on the Rights of Persons with Disabilities, which would provide greater accessibility to Americans living, working, traveling, studying, or serving abroad. ANSWER: Yes. We must take every opportunity to reduce any stigma regarding people with disabilities and implement common sense protections to protect their rights and access to employment. That’s why I’ve been pushing for legislation I’ve introduced and cosponsored to support people with disabilities, and have called for the Senate to ratify the Convention on the Rights of Persons with Disabilities (CRPD) to protect Americans with disabilities who are overseas. We must enact policies that allow individuals with disabilities to live their lives to the fullest – just like every American. ANSWER: Yes. I helped introduce the Transitioning the Meaningful Employment (TIME) Act, which would repeal an antiquated section of the Fair Labor Standards Act that effectively allows discrimination by allowing employers to pay workers with disabilities subminimum wages. Individuals with disabilities deserve to find meaningful employment without facing discrimination over their wages, and I’ll continue to seek out opportunities to ensure they have that opportunity. ANSWER: Yes. Last year, I worked with my colleagues on both sides of the aisle to pass a much needed update to our nation’s education policy, and the Every Student Succeeds Act was signed into law in December 2015. This important legislation will truly ensure that every student has the opportunities they need to succeed in the classroom and be prepared for their futures. I also cosponsored a bill that was signed into law, the Autism Collaboration, Accountability, Research, Education, and Support (CARES) Act, that would help efforts to support youth and adults with autism. I also cosponsored the bipartisan TEACH Act, which would ensure that college students with disabilities have greater accessibility to the educational materials they need to succeed in their pursuit of higher education. ANSWER: Yes. I am a cosponsor of the Achieving a Better Life Experience (ABLE) Act that would allow individuals with disabilities to save and plan for future expenses without affecting their eligibility for Medicaid, Social Security, or other programs. It was signed into law in 2014. I’m also a cosponsor of the ALS Disability Insurance Access Act, which waives the five month waiting period for Social Security Disability Insurance (SSDI) benefits for individuals diagnosed with ALS. ANSWER: Yes. I’ve said before that I believe any health insurance legislation or laws should ensure that individuals with pre-existing conditions are still eligible for affordable health insurance, and I’ll work to ensure that is always the case. ANSWER: Yes. I have been a leader in the Senate fighting for policies to support family caregivers, who care for family members and loved ones in the comfort of their own homes. I am a co-founder of the Assisting Caregivers Today Caucus, which works to bring greater awareness to the issues facing family caregivers, including more than 268,000 in New Hampshire, and I’ve introduced bipartisan legislation to give a tax credit to working family caregivers for qualified expenses. I also helped introduce the Recognize, Assist, Include, Support, and Engage (RAISE) Family Caregivers Act, which would develop a national strategy to recognize and support the work of family caregivers. Additionally, I’ve cosponsored the Home Health Care Planning Improvement Act, which would allow nurse practitioners, clinical nurse specialists, and certified nurse midwives to sign plans of care for home health and certify Medicare patients as eligible to receive home health care, thereby increasing access and allowing more individuals to remain in their homes, where they often prefer to receive care. ANSWER: Yes. I’ve cosponsored a number of measures focused on our criminal justice system and supporting individuals who are going through it, as well as appropriate diversion or alternatives to incarceration programs. Some of those bills include the Second Chance Reauthorization Act, which will continue programs to help prison inmates return to society after serving their time and reduce recidivism rates and the Juvenile Justice and Delinquency Prevention Reauthorization Act, which would help better support youth who come into contact with the criminal justice system. I’ll continue to look for other options for how to support individuals with disabilities should they come into contact with the criminal justice system. We must uphold a fair and impartial criminal justice system – one that is also effective and appropriately sentences individuals convicted in ways to enhance public safety and, at the same time, reduce recidivism. ANSWER: Yes. I helped introduce bipartisan legislation called the Mental Health First Aid Act, which would train law enforcement, community leaders, educators, and others to recognize the warning signs of a mental health crisis and help direct individuals in need to proper care and treatment. While this legislation is focused on mental health issues, I believe this kind of training could help create better awareness of the ways individuals interact with their communities and help lessen unintended violence. Parts of this legislation focusing on training educators and school personnel were added to the Every Student Succeeds Act, which was signed into law in December 2015. I also helped introduce the Comprehensive Justice and Mental Health Act, which is intended to increase public safety by facilitating greater collaboration among the criminal justice, mental health, substance use treatment, and veterans treatment services systems. ANSWER: Yes. I helped introduce and enact into law legislation to reauthorize the Violence Against Women Act, which strengthened the health care system’s response to domestic and sexual violence. I’ve consistently supported full funding for VAWA and related programs. There is a provision in VAWA that specifically sets aside funding for grants to end violence against women with disabilities. I’ve additionally helped introduce the Runaway and Homeless Youth and Trafficking Prevention Act which prohibits discrimination against any person – including specifically those with disabilities – when it comes to receiving federal assistance under those programs. ANSWER: Yes. I have cosponsored the Hire More Heroes Act, bipartisan legislation that would incentivize companies to hire more veterans by exempting the business from the Affordable Care Act’s employer mandate if the veteran is covered by TRICARE. This would also cover veterans with disabilities. I have also cosponsored the Manufacturing Skills Act, a bill to establish a program that promotes reforms in workforce education and skill training for manufacturing, as well as identify challenges faced within the manufacturing sector by underrepresented and disadvantaged workers, including veterans or those with disabilities. Additionally, I have cosponsored the Justice and Mental Health Collaboration Act, which would have authorized the Attorney General to award grants to establish or expand veterans treatment court programs, improving outcomes for transitioning veterans that get into trouble with the law. Additionally, wounded warriors and disabled veterans should have access to the very best when it comes to treatment options, and that includes top of the line prostheses and prosthetic sockets. New Hampshire is fortunate to have a number of wonderful firms with employees who devote their lives to developing this sort of innovative technology that will help our wounded warriors have an improved quality of life. There is a particular focus on developing better technology for lower limb amputees, and I have used my position on the Senate Armed Services Committee to repeatedly get language in the annual defense bill that improves the quality of prostheses and prosthetic sockets for our wounded warriors. ANSWER: Yes. I support expanding the low income housing tax credit (LIHTC) program to help create or preserve approximately 1.3 million affordable homes over a 10-year period—an increase of 400,000 more units than is possible under the current program. In addition to increasing the LIHTC, I am a cosponsor of a bill to give states more flexibility by creating a new income-averaging option to help developments maintain financial feasibility while providing a deeper level of affordability. This will allow people with disabilities who collect Supplemental Security Income (SSI) and generally make less than LIHTC target range of 40 to 60 percent of the average monthly income of an area to be eligible for LIHTC units. I also support the HOME Investment Partnerships program, which provides federal block grants to states and localities to meet their diverse affordable housing needs. In addition, I introduced the Senior Home Modification Assistance Initiative Act with Sen. King to establish a process to better coordinate the many existing federal home modification programs and provide more consumer-friendly information on how those programs can benefit older Americans. By helping aging residents take advantage of federal programs to modify their homes, the legislation achieves the dual goals of helping people age in place and expanding the supply of accessible housing. ANSWER: Yes. I supported the long-term highway bill that the Senate passed in 2015 laying out our highway and infrastructure policies for the next five years. Included in that legislation were specific provisions to help bolster transportation options for seniors and individuals with disabilities. Going forward, I will continue to explore other ways we can expand access to transportation options at the federal level. ANSWER: Yes. I have cosponsored the Ensuring Access to Quality Complex Rehabilitation Technology Act, which would make important fixes to Medicare to allow individuals greater access to complex rehab technology that can help them better manage life with a disability or illness. I will continue to explore other ways to support new innovations that can help people with disabilities. Additionally, I have used my position on the Senate Armed Services Committee to repeatedly get language in the annual defense bill that improves the quality of prostheses and prosthetic sockets for our wounded warriors. Additionally, I wrote to CMS expressing concerns that a proposed rule could limit the ability of amputees to access the prosthetic devices most appropriate for their individual needs. CMS subsequently announced it would not finalize its draft rule on lower limb prostheses. ANSWER: Yes, absolutely. I have been a leader in the Senate calling for the ratification of the Convention on Rights of Persons with Disabilities to better protect Americans with disabilities living, working, or traveling abroad. Ratifying the CRPD is just the right thing to do, and I won’t let up until we get it done.